Would you like to meet your guardian and other angels? In this interactive class, we will learn how to clear ourselves to receive communication and messages, set boundaries, and expand our awareness. We will write down our experiences so we don't forget, and share and discuss to anchor and ground our experiences into everyday life. Bring something to write on. You may meet some new guides, too! No problem too big - or too small - for the ForGIVEness Angels to come and help you. Plus, they go home with you, too! Learn how to work them to solve your problems. Calling guides of forgiveness. Guided meditation, journaling, sharing. This workshop focuses on problems people are having in everyday life and relationships. Included is a free full color art brochure to take home for ongoing forgiveness practice. Bring something to write on - for your personal notes and reminders. Something hurting your heart? Let the angels help you release. I'm very happy to report these 2 new Angel and ForGIVEness Workshops. 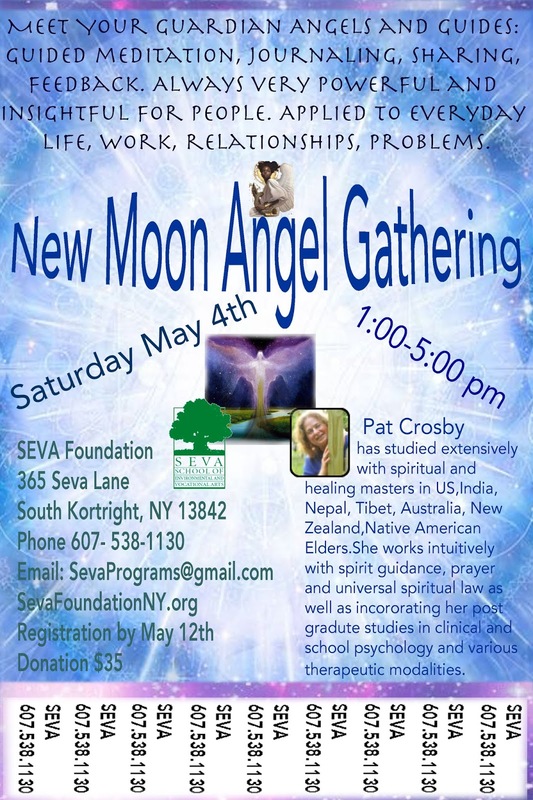 We meet in the beautiful, spiritually charged SEVA Foundation headquarters in the lovely countryside of upstate NY - South Kortright - close to Delhi, NY. I've been focusing on writing and private clients since my many years of sacred site work and travels. Plus recalibrating all the ongoing shifting. SO - it feels really good to work with group process face to face, heart to heart, again. It will be wonderful to meet again those who've done angel workshops previously and hear how your lives have changed - and meet those of you newly drawn to this work. I hope you - and your guides - can join us for some exciting, thrilling angel encounters in raising your vibration and clearing old energies that are outgrown. This work is spiritual - and suitable for those of any religion or spiritual path - or no religion at all. We focus on divine love and angels of messengers and servants of that source. South Kortright is a little less than 3 hours from New York City - near the SUNY university town of Delhi, NY - in the beautiful famous Catskill Mountains. Spring is in process - and nature is majestic and beautiful, and healing. Overnight accommodations are available in this lovely healing and meditation retreat center. I really hope you can join us in this magical site for some divine peace and grace. And new levels of personal growth and understanding. It's been and is an intense time on our planet. Come away refreshed and recharged with higher understandings of what is unfolding in your life. You will also receive some new light tools to help you navigate these intense waters during these troubled times. This or something better ~ for the highest good of all! I hold you in the Creator's light. BOTH workshops led by author and guide Pat Crosby. Pat is a mystic, healer, and spiritual guide and has traveled to sacred sites and taught healing for over thirty years on four continents while studying with masters in various planes of consciousness. Want an angel workshop in your setting? Or individual help? Contact Pat at 1-845-434-3829 or email patcrosby@gmail.com. like and benefit from this work. We will gather beforehand to share food and fellowship from noon to 2. Please bring organic conscious food as much as possible! Vegetarian preferred as it is lighter for meditation breakthroughs. 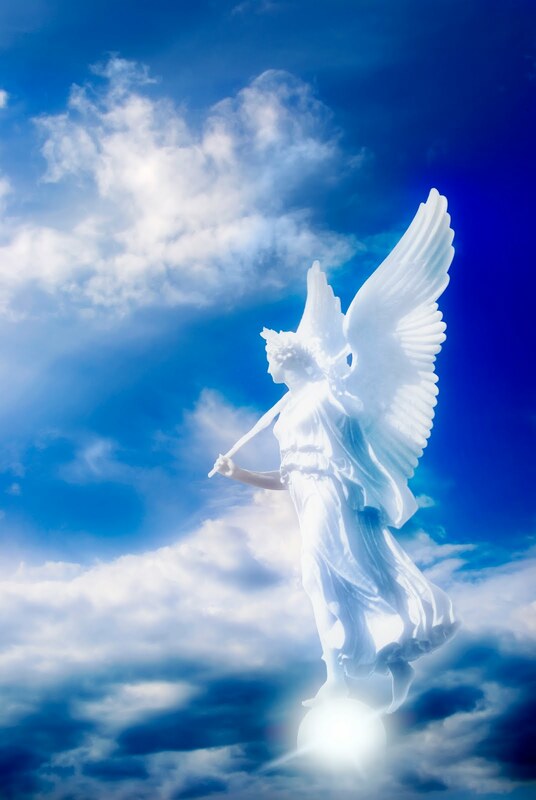 From 2-5 we will meet in ceremony and invoke the presence of our angel friends to help us release any negativities and difficult situations from our past or ongoing. During this time, we will have guided meditations and talk circle sharing on what breakthroughs and inspirations we are experiencing. Specifically Archangel Michael and the Angels of Forgiveness will be invoked (specialists in removing old stuck energies) - as well as your own individual angels, guardians and spirits friends of light and love to help you move forward on your journey. Angel sharing circles are always an uplifting, inspiring, freeing and energizing occurrence. We will share Archangel Michael’s guided meditation on healing in the 5th Dimensional Pyramid of Light, as well as the guided meditation from the ForGIVEness Angels to unplug, detach, release and let go old energies and situations that no longer serve us. You will leave this ceremony knowing how to do these meditations on your own for continuing healing and evolving your own consciousness. You will receive a take-home full-color artistic brochure with step-by-step instructions for invoking the Angels of Forgiveness to help you release and let go. 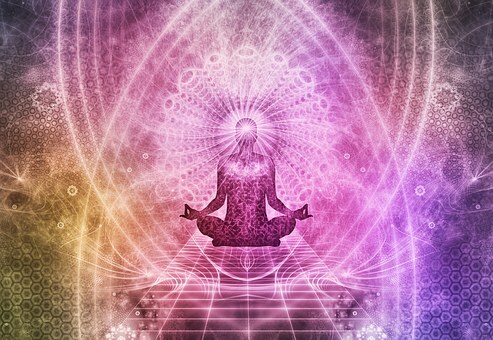 In these ceremonies, we experience the transforming energies of grace, love and light from higher frequency dimensions of consciousness - freeing us from old baggage, memories, persons, events that keeps us at a limited level of awareness - so that we can move forward to the next level of our journey. Through this process, you release self - and others - from unfortunate events that happened in your past. The circle will be led by angel facilitator and messenger Pat Crosby. Following the healing circle, we will either have a bonfire with roasted potatoes and other veggies (weather permitting) and/or enjoy more of potluck food offerings. Noon to approximately 6 - 7 - 8 PM - depending on the weather and bonfire conditions. please arrive by 1:45 and expect to leave around 5. 5 PM til.... whenever... Allow at least one hour to eat and relax before driving home. EMAIL or RSVP by phone to get directions. Please bring a journal, pure drinking water and high-vibration food to share (if participating in meals and snacks). Less for couples, children, those on limited incomes. Donations contribute to spreading the Angels of Forgiveness healing meditation. patterns that do not serve our highest good." message is left complete and all links intact as originally posted. Angel Heart Radio ~ Changes in 2013. Pat Crosby with Annette McCoy. Listen to Complete Replay here. What's new in 2013? So much, right? But not what you expected? Seems we have a LOT of cleanup going on - inner and outer. As the new frequencies flood us and our earth, we have a LOT of old energies rising to the surface. In this audio, we discuss how to deal with these flooding, releasing energies. Pat Crosby with Annette McCoy from Angel Heart Radio. Remember to BREATHE in sacred golden particles every day! "We are at the threshold of this most powerful time of standing in the power of Forgiveness energies. 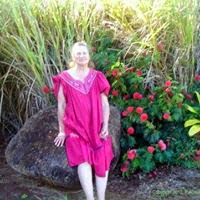 "We are blessed to have ILoveForGIVEness.com creator Pat Crosby shares her wealth of experience with us all today. "Pat is a wonderful speaker and has much to share on how - by standing in compassion, forgiveness and love - we untangle the old energies, blocks and knots that have held us back." Be releasing the past, we find our wings of freedom, expand our heart centers and empower ourselves to ignite the sacred fire of Love and Light! Read her article from the Sedona Journal - 2013 Predictions issue here. * Dying - Crossing Over in Love and Peace with Comfort, Support, and Guidance. Donations help with costs to spread our forgiveness message, as well as print more copies of The little Book of ForGIVEness to give away. We've just printed 10,000 forgiveness brochures. Thank you all for your support.